Bubble leak testing is a whole-package integrity test. It is typically performed as part of a validation activity, such as sealer validation, or transit or shelf life simulations. The sensitivity of this test is 250 microns. It is performed by submerging the package in water and observing for a steady stream of bubbles, indicating a breach of the sterile barrier. 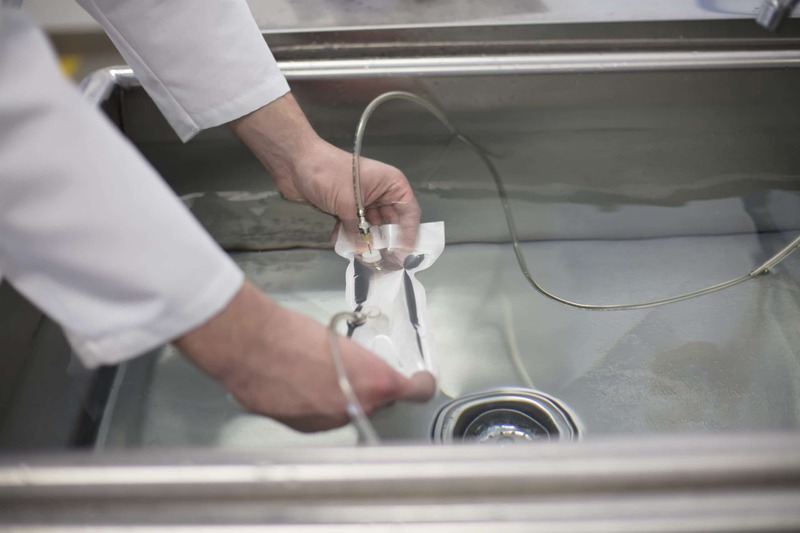 Bubble leak testing is the most common approach to evaluating sterile barrier integrity for Tyvek(R) pouches or thermoformed trays.